Found in a in a forest-floor flight-interception trap sample. Balanced this specimen on some small stones to position it under the scope. 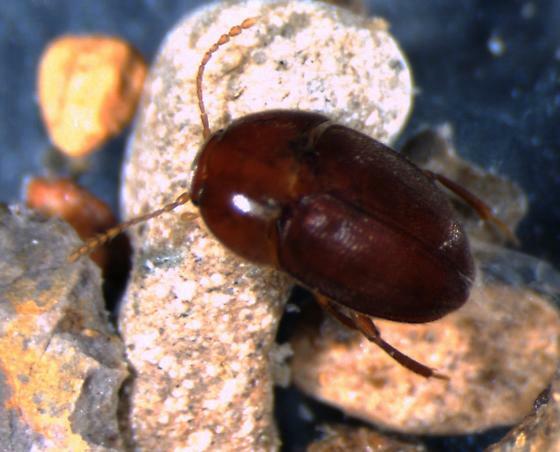 Yes, Platycholeus, probably the new species I am describing, which is known from that locality, but it's a female so ID is tentative. Usually under bark of conifer logs. Want me to save other specimens if I get more? Especially if you get one or more males (the protarsi are widened a bit, and in this species the hind tibia is more curved and with a hook at the end. That's great to know. That's a new one for me! Cheers!